The 2019 NSW National Science Week Grants program is now open and closes 25 April 2019. The program aims to support events presented by NSW Regional Science Hubs as part of National Science Week (10-18 August) with up to $8,000 available per applicant. It also offers up to $25,000 to a large presenter towards a public event held as part of Sydney Science Festival. National Science Week grants of up to $8,000 are available to initiatives that bring together at least three organisations to create a NSW Regional Science Hub. Activities should have enduring benefits and must meet the selection criteria listed in the grants guidelines. 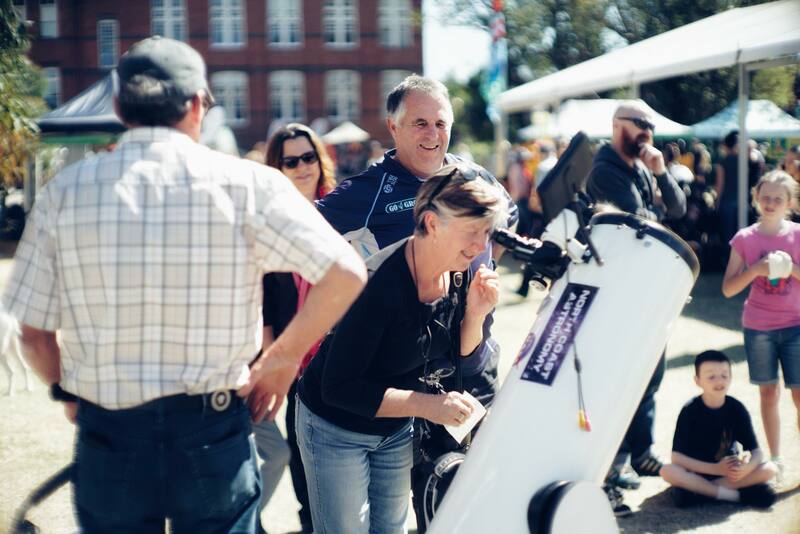 The Sydney Science Festival﻿ grant for up to $25,000 is intended to create more large scale, free, family friendly events for people who don’t ordinarily participate in National Science Week. Applications are encouraged from established event presenters with potential to attract participation of at least 3,000 people and who have adequate facilities to cater for large audiences. While up to $25,000 is available, this amount may be shared amongst more than one presenter depending on the quality and quantity of applications. Learn more about National Science Week and Sydney Science Festival. Information about 2018 highlights here. The NSW Science Grants program is funded by the NSW Department of Industry and the Commonwealth Department of Industry, Innovation and Science. Feature image courtesy of Northern Rivers Science Hub.